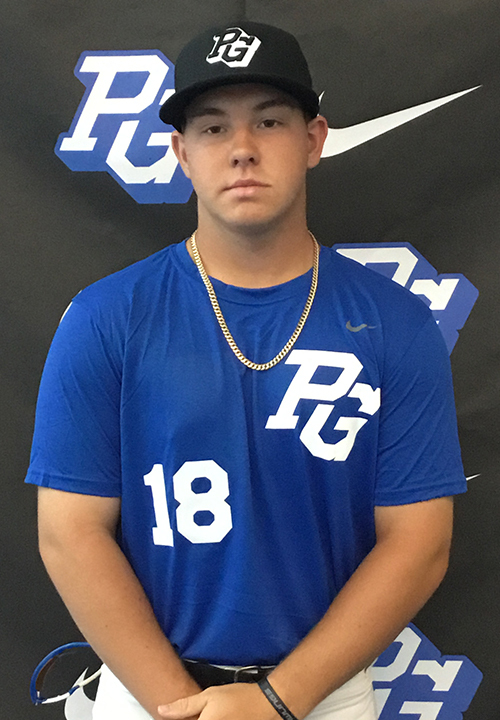 Wade Elliott is a 2019 3B/1B with a 6-1 200 lb. frame from Edmond, OK who attends Deer Creek HS. Big and strong physical build. Right handed hitter, busy hand load, hits off his back side with a strong and compact swing, hands work well in his swing, has some lift out front, handles the barrel and has a long history of hitting in games. 7.12 runner, fields out front well, stays balanced and has soft hands, playable arm strength that can throw from multiple slots and has accuracy. Offensive prospect who has always hit good pitching. Very good student, verbal commitment to Missouri.